Below shows the fixtures of the group stage of CAF Champions League for the week as the prestigious tournament is set to kick off after resuming from the festive period break. Horoya AC VS Esperance Tunis by 5:00pm. Lobi Stars VS Mamelodi Sundowns by 5:00pm. Wydad AC VS ASEC Mimosas by 8:00pm. Club Africain VS CS Constantineby 8:00pm. 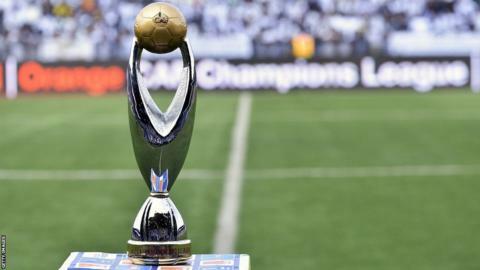 TP Mazembe VS Ismaily SC by 2:00pm. FC Platinum VS Orlando Pirates by 2:00pm. Simba SC VS JS Saoura by 2:00pm. Al Ahly SC VS AS Vita Club by 8:00pm.